Yummy, too, I bet, besides spiritually gratifiying. I just haven’t yet had the chance to try it out. 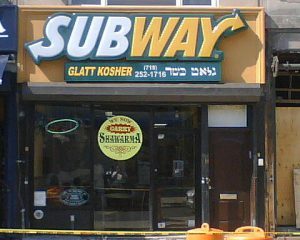 Here’s an update on the Subway kosher project; more here.